Dubai: Non-oil private economy of Dubai witnessed a strong rebound in March with the headline Dubai Economy Tracker Index rising to 57.6 in March from 55.8 in February, the highest reading since May 2018. The main driver was faster growth in output and new work across Dubai’s private sector last month. However, this increase in volume of activity and pipeline of new work was partly due to further price discounting, particularly in the wholesale and retail trade sector. “While the rebound in the headline Dubai Economy Tracker Index is encouraging, it is clear that firms continue to price discount in order to secure new work and boost activity. The pressure to cut costs means that the recovery in the volume of activity has not translated into much job growth in the private sector,” said Khatija Haque, Head of MENA Research at Emirates NBD. 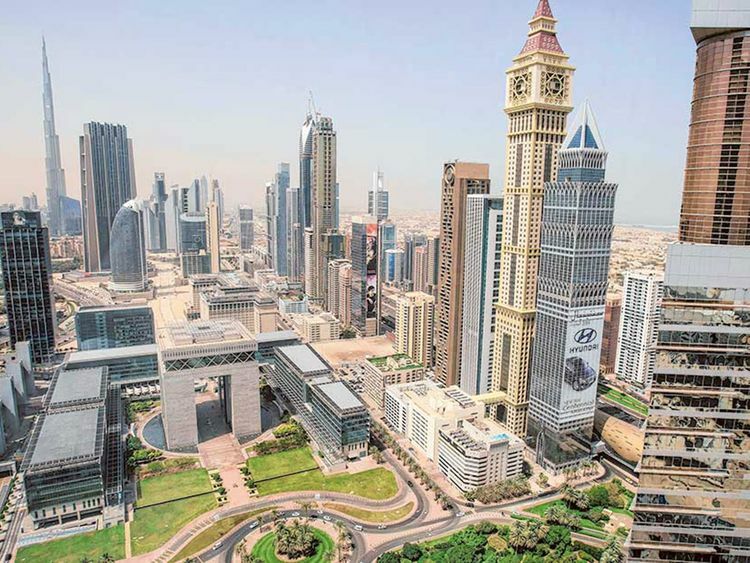 Data showed business activity in Dubai’s private sector increased at the sharpest rate in more than four years in March, with nearly 40 per cent of firms surveyed reporting higher output last month compared with February. Output in the travel and tourism sector was the strongest since March 2015 and was likely a key driver of the overall growth in activity in Dubai last month. New orders also rose at a faster rate last month, with this sub-index rising to 63.8 from 59.7 in March. The wholesale and retail trade sector also saw strong growth in the volume of activity and new work in March, with the output index reaching a series-high and new work rising at the fastest pace since October 2017. However, price discounting in the sector continued. The construction sector index declined to 51.8 in March from 54.0 in February, the lowest reading since December 2016. While output/activity growth remained robust as firms work towards delivering projects ahead of Expo 2020, the new work index fell to the lowest level since February 2016. Input costs rose only modestly, but firms continue to see margins being squeezed as a result of ongoing price discounting. The pressure to reduce costs has meant that the recovery in activity and new work registered in March did not translate into much job growth; only 3 per cent of firms surveyed reported increased hiring, while 1 per cent of firms reported lower headcount last month. Firms were more optimistic about their output next year, with more than three-quarters of panellists expecting their output to be higher in a year’s time. Official estimates show that Dubai’s real GDP growth slowed to 1.9 per cent last year from 3.1 per in 2017. The PMI data for 2018 suggests the preliminary estimate for growth last year may be on the low side, with upward revisions likely in the future. “We continue to believe that Dubai’s growth will accelerate this year, as projects are completed ahead of Expo 2020, and as the US dollar weakens now that US interest rates have likely peaked,” said Haque.